With High Speed Internet performance hitting new heights, streaming services have become one of the primary ways to access our favourite entertainment. Although streaming is most often associated with video content and gaming, there are also major recent changes in how we consume music. According to the International Federation of the Phonographic Industry (IFPI), digital revenue growth in the music industry increased by 17% in 2016, and streaming accounted for 59% of those digital revenues. Streaming music services are not only a great way for us to access our favourite tunes, but also expose us to a whole new universe of music that we never knew existed. While Spotify and Apple Music are arguably the most popular, we invite you to check out 3 evolving streaming music services and learn about how they are competing for our attention with awesome new features. Google Play Music has continued to step up their music streaming game with a clean and simple interface, now featuring over 40 million songs. One of the great functions available on Google Play Music is the suggested song and playlist option, which is based on a user’s location. Whether you’re at the gym or on a morning commute, Google Play Music will provide a great music listening experience suited to that exact environment. And as a bonus, the more this service is used, the more it evolves, better tailoring suggestions to match music tastes. Perhaps lesser known, but Deezer hosts some great features that keep it competitive with other popular streaming services. Beyond regular song and playlist options, users can enjoy live sports, podcasts and radio, plus some exclusive live albums, which is a pretty unique feature. Deezer has a free version for those looking to test out this service, but if ad-free listening is a must, the premium, paid version is worth the modest investment. For Amazon Prime members, this music service should be at the top of the list. Beyond being easy to use, it hosts millions of songs, thousands of playlists and personalized music stations. When paired with an Amazon speaker, voice commands can control switches between songs and playlists. With the added perk of allowing song uploads from personal music libraries and a family subscription option to save some cash, Amazon Music Unlimited is worth checking out. What’s great about all music streaming services is that they come with offline listening capabilities, meaning songs and playlists can be downloaded in advance using your home Internet, before heading out for the day. 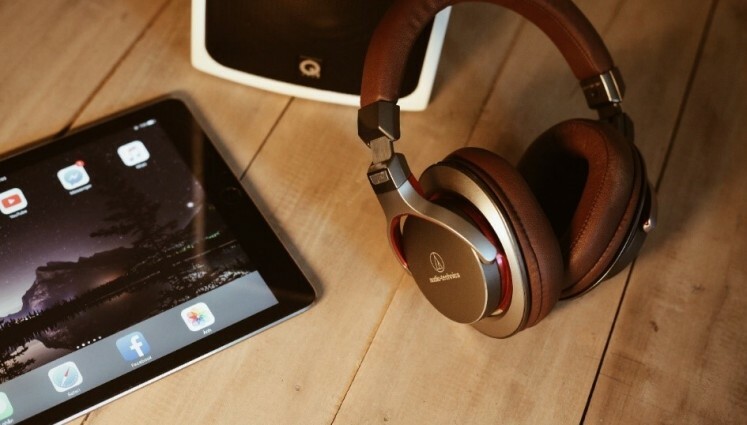 This is a great way to save precious data use, while still enjoying all of the music you love. With all these great music streaming options to choose from, you deserve a tailored High Speed Internet plan to power your online experience and ensure that it is Right For You. Whether your family is into streaming music, videos or playing games online, we invite you to check out our Find Your Plan tool or call us today at 1-877-810-2877 to make the simple switch to Distributel.